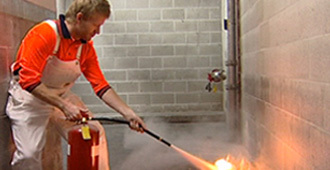 Fire Safe Australia and New Zealand takes care of a building’s fire fighting equipment. In a highly competitive market they needed to launch their new name while assuring clients that the same high service standards would remain. As an SME operating a national business they also needed an effective way to communicate to clients there was an alternative. In the 2 minute video Paul describes some of his business challenges and why they made a corporate video. He covers the reaction from his clients and prospects. In the video he states that the process of making the video was easier than he expected. The video has been used on their website, at trade shows and with mailouts to prospects. 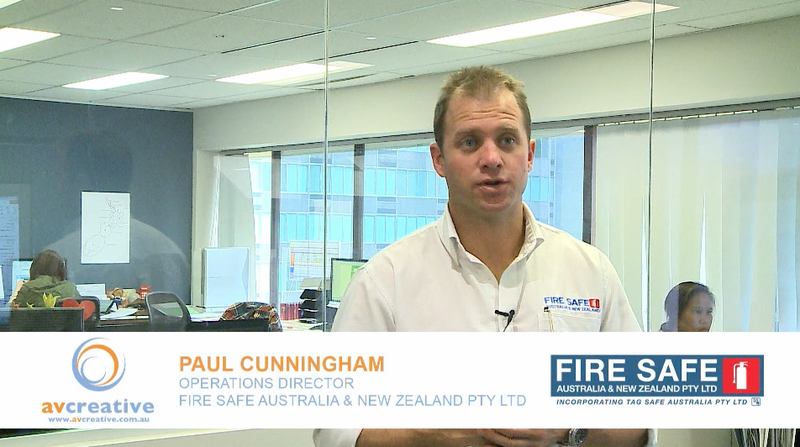 Click through for the Fire Safe Australia and New Zealand website. Big Box Self Storage provides self-storage solutions with facilities at Rozelle in Sydney and Labrador on the Gold Coast. The team at Big Box Self Storage offer tailored self-storage, document storage, and wine storage to meet the needs of individuals, companies and businesses. AV Creative was engaged to create a short video that they could use to introduce prospective clients to the range of services and facilities offered at the Rozelle facility. Servicing clients across Sydney they needed a way to promote their state of the art facility in a cost effective way. Joe Doyle, General Manager Big Box Self Storage confirms how straightforward it was working with AV Creative and the benefits of video in marketing his business. AV Creative was able to help Big Box Self-Storage with delivery options for the video. This is now an increasing focus of our work as technology and social media options have grown. The finished 3 minute video can be seen on the Big Box Self Storage web site - www.bigboxselfstorage.com.au as well as You Tube. Mega Fortris is a leading supplier of security seals. They have an extensive product range of security solutions that addresses every requirement. 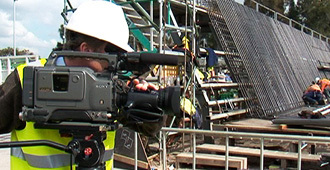 AV Creative were engaged to produce a promotional corporate video featuring their products. Mick Taylor, the Mega Fortris General Manager, describes how we worked with them to create a promotional corporate video that has made a big impact and engages in a way that brochures cannot. The security features can be explained more quickly and clearly in a promotional video than in a brochure. The video can be easily distributed through email and online marketing channels including their own website and You Tube. New features and products can be quickly added into the promotional video keeping them fresh and up to date. Mick also describes how working with AV Creative is easy and straightforward. ASIS International is the leading professional association representing the security industry. ASIS International have over 30,000 members worldwide. They undertake initiatives in representing the security industry as well as providing security training and qualifications. Hear Nick Stramilos, Chair of ASIS International NSW, describe how AV Creative enabled them to lift their online marketing profile through a highly creative video program. ASIS have extended AV Creative’s services with event video productions helping them with their breakfast seminar series. The event videos have been edited into training formats for their members. Members receive training credits towards the ASIS professional security industry qualifications for viewing the event videos online. We have also filmed interviews of their members describing the benefits they receive from membership and these have been used online in marketing to potential members. 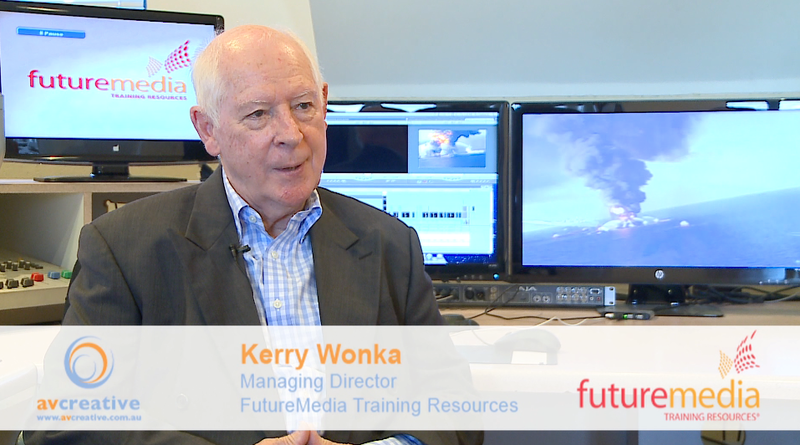 Listen to Kerry Wonka, the Managing Director of Future Media talk about his experience with developing the latest of their safety training programs using the production services of AV Creative. 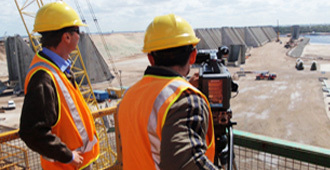 FutureMedia is a leading provider of safety training programs with a particular focus on process safety. Their latest productions have focused on the Gulf of Mexico BP disaster. Two programs were produced entitled 'Macondo Blowout: The Human and Organisational Causes' and 'Falling Dominos of Macondo: A Failure of Defence in Depth'. Both feature Professor Andrew Hopkins from ANU, a world leader in his field. The productions are sold worldwide and have been a great success since their launch earlier this year. Also see a short program showing the behind the scenes work on the production. Click through for FutureMedia's website. Baulderstone is one of Australia’s largest construction companies. Employing over 1,400 people they have participated in many of the major Australian construction and infrastructure projects in recent years. 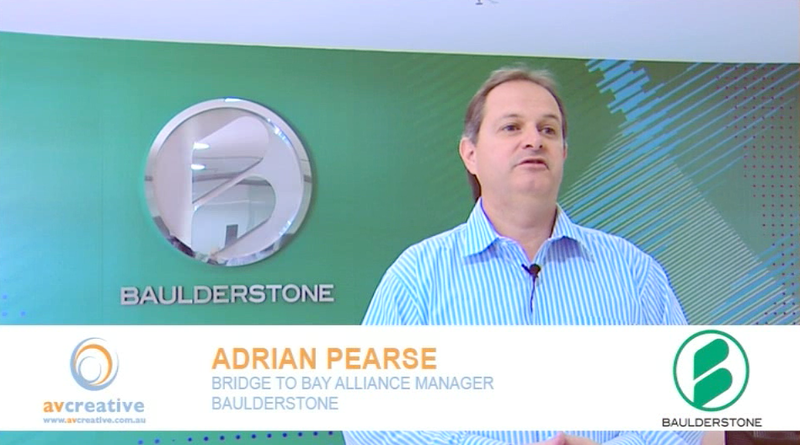 Adrian Pearse, Alliance Manager - ‘Bridge to Bay’ Alliance, describes how AV Creative were able to video document the Inner West Busway infrastructure project in Sydney. This is a major project including the construction of a new bridge over the Iron Cove. He sought a way that would document the project to enable the story and the success of the construction project to be told. He believes that video is a better approach than words to communicate these objectives. Different videos have been produced including versions that address marketing needs and a version for the team that worked on the project as a thank you and memento. The Clown Doctors are recognised for the humour and good cheer they bring to sick children across Australia in hospitals and healthcare facilities. Composed of doctors and other healthcare professionals they really make a difference when ever they appear. AV Creative have provided pro bono services to the Clown Doctors over many years. We have completed a wide range of promotional and marketing videos that are distributed to healthcare facilities as well donors. 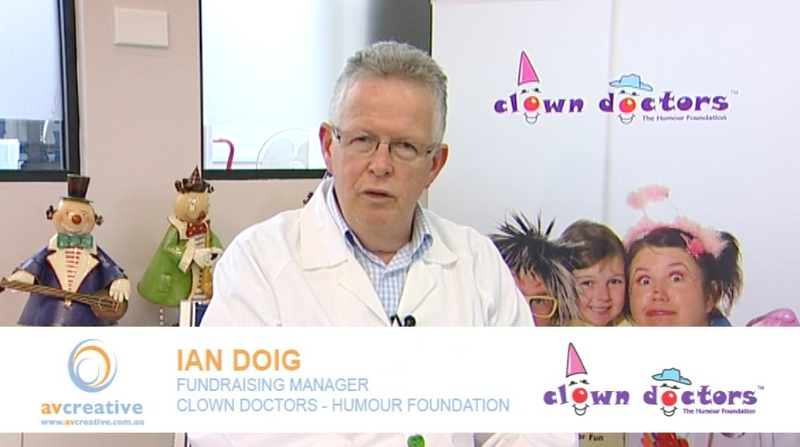 Ian Doig, the Clown Doctor Fund Raising Manager, explains how AV Creative’s video production capabilities have helped them with their fund raising activities. He describes the processes that are involved with editing and achieving a great outcome.